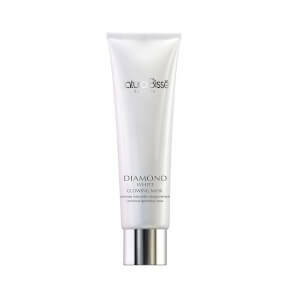 Natura Bisse Diamond Ice-Lift DNA Cryo Mask is a face-lift in a bottle! A combination of a traditional face mask and transepidermal patches, this mask provides a "cold-lifting" effect. It instantly tightens and lifts the skin, leaving it re-contoured and smooth. High concentrations of marine DNA, oligo-collagen complex, and rosa mosqueta provide immediate results. Ideal for those who want instantly firm, lifted skin. Apply to clean skin twice a week on face, neck and decollete after applying skin-appropriate moisturizer. Leave on for 20 minutes. When completely dry, gently lift the mask beginning at the edges in the decollete area and carefully lifting in an upward direction. Marine DNA Concentrate - Helps restore natural DNA to skin as it hydrates and firms. Neuro-Aromatherapy - Consists of a wild lavender essential oil that calms and relaxes the senses. Sensorphine - Promotes a sense of well-being. Even though this mask is a bit pricey (& most Natura Bisse products are fairly expensive, not quite as expensive as La Mer or La Prairie though I'm always happier w/Natura Bisse products- I think they work just as well as La Prairie) it's worth it if you have the $ to spend on a pre-going out mask. I think this mask is even used in the pre-Oscars Natura Bisse facial. 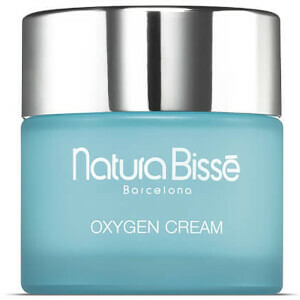 Like all Natura Bisse products, it's clinically active while being a joy to use. 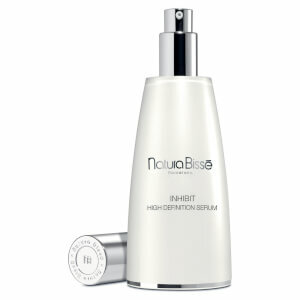 It lifts & smoothes & minimizes fine lines, firms the flesh, shrinks pores, and gives skin a "glow". It's best to use w/in a few hours of when u need your skin looking it's best. It's a peel-off mask, so it's best to spread it thick for easy peel-off & keep it out of the hair & eyebrows. Like many of natura bisse's products you get Visible Results. I highly recommend. It works better than most of the Creme de La Mer masks that I've used.